We urge you to join us in taking action against state budget cuts and for restorations to essential social service programs. Speak up and add your voice to the stories of Nestor, Barbara, and Judy. 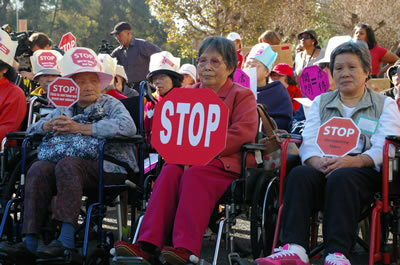 Contact your state legislator and tell them how important our social safety net is for children, families, seniors, and people living with disabilities in Alameda County. 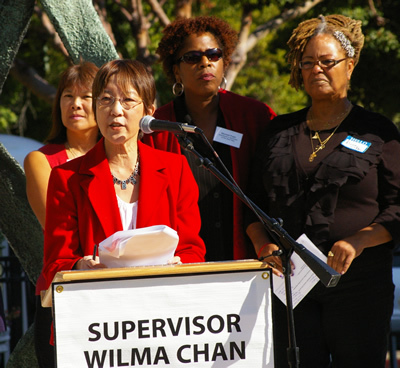 "As an Alameda County resident, I’m urging you to act in support of our social safety net. After years of state budget cuts, children, families, people with disabilities, and older adults are struggling to make ends meet and get essential services. 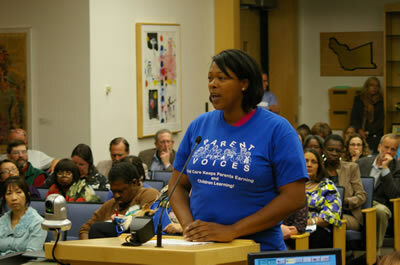 There is a human cost to state budget cuts that we here in Alameda County feel every day. As our representative in Sacramento, I urge you to speak up in support of essential services like childcare, IHSS, CalWORKs, and food stamps. Thank you for your consideration of these important issues." Step 3. Join the Human Impact Budget & Tell Your Story! "In the end, the budget is not about numbers, it's about people." "I look at my kids and I wonder what it’s going to be like in 20 years, how are their lives going to be impacted by budget cuts?"